Our Stockings and Hold-Ups are available in a choice of style, thickness and colour. Specially designed for the more mature wearer, they are both stylish and practical. 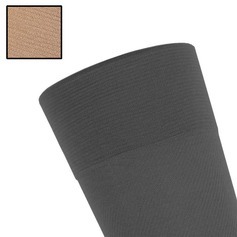 So difficult to find in the shops, our Standard Stockings are specially knitted to help stop ladders forming. Our Extra Long Stockings are specially designed for the taller women or those with longer legs. If wearing or putting on tights is difficult or wearing a Suspender Belt is uncomfortable, why not try our Hold Up Stockings, which are designed to stay up without suspenders making them ideal for the less mobile.